How should one interpret the Bible? What rules should govern our exegesis? One approach is to toe the party line, a kind of exegetical “be true to your school” approach. This approach looks not primarily to the Biblical text itself, but to one’s ecclesiastical confession, and then reads what that confession says into the text. For example, a Lutheran might approach the Biblical text of Romans through the confessional lens of the Augsburg Confession and conclude that Paul is there teaching justification by faith alone, exactly (and coincidently) like Martin Luther would later teach. Scholars today are unanimous that this is not an adequate or respectful way of dealing with Holy Scripture. Of course one believes what one’s church teaches and of course nothing like complete objectivity is possible. But one should nonetheless strive as best one can to set aside or at least turn down the volume of (say) the Augsburg Confession while one is exegeting the Biblical text and try to read the text on its own terms. When reading Romans, one listens for the voice of St. Paul, not for the voice of Martin Luther. It is important to realize that “reading the text on its own terms” involves reading the text in its original cultural context. Thus one reads Romans knowing that it was written by a first-century Jew, not a sixteenth-century Catholic. The task of turning down the volume of one’s confessional statements while exegeting the Bible is easy if one has no such confessional allegiance to those documents. The task is correspondingly difficult the more one gives one’s allegiance to those documents and confessions. 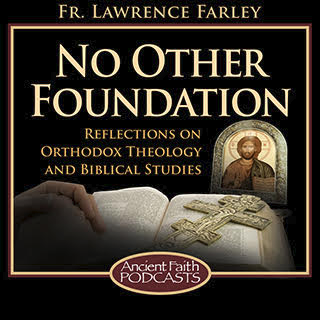 In the case of Orthodoxy, it can be difficult indeed, because our documents and confessions—the Church Fathers, or the consensus patrum—are the lens through which we read the Scriptures. This does not mean that we cannot or should not try to read the Scriptures on their own terms. It just means that for us the exegetical task is more complicated. For some people, fidelity to the Fathers seems to mean effectively junking the idea of a scholarly reading the Scriptures in their original context and taking the “be true to your (patristic) school” approach. It is certainly an easy way to go. It saves one the work of investigating the cultural background in which the Scriptures were set and allows one to jump straight to the patristic conclusion. I don’t need to determine how ancient Israelites would have read the text; I just need to read what St. Basil wrote (or perhaps Seraphim Rose’s take on what St. Basil wrote). But fidelity to the Fathers means more than simply agreeing with their exegetical conclusions. It also means participating in their spirit and phronema, and reading the Scriptures with the same trembling respect that they did. It is this trembling respect that we bring to our exegesis when we insist on reading the Bible in its original cultural context. Perhaps an example might be helpful. Take what is arguably one of the most famous lines in the Bible, “And God said, ‘Let us make man in our image, after our likeness’” (Genesis 1:26). One asks, “Given the monotheism presupposed in the Book of Genesis, why the plurals? Why did God say, ‘Let us make man in our image’ rather than ‘Let me make man in my image?’ What do such plurals mean in the Old Testament?” If we read Scripture on its own terms, we must begin by asking the question, “How would the original readers/ hearers of this passage have understood by it?” A refusal to ask this italicized question constitutes a refusal to situate the Scriptures in its own cultural context. It is true that for Christians this context cannot be the place we finish (Christ is where we finish, since He is the telos of the Law; Romans 10:4), but it must be the place from which we start. As Orthodox in our exegesis we must end with Christ and the Fathers, but we cannot begin there. Exegetically we begin with the original hearers of the texts. So, beginning in the time in which Genesis was written and read, we must ask, “How would the original readers of this text have understood the plurals? Are there any other times when God found Himself (as it were) not alone in heaven?” There are indeed a few instances of such plural usage. In Isaiah 6:8, Isaiah “heard the voice of the Lord saying, ‘Whom shall I send, and who will go for us?’” (The Greek Septuagint was apparently a little embarrassed at the plural, for it rendered it, “Whom shall I send, and who will go to this people?”) Who was God addressing here? Was it simply that He was using what is called “the plural of majesty”, as Queen Elizabeth once did when she famously said, “We are not amused”? The idea that a god acted in council and concert with the other gods was common in Mesopotamia. What we have here in the Old Testament is the monotheistic transformation of that cultural commonplace. There is no other deity except Yahweh. His council consists not of fellow-deities, but simply of lesser beings, angels, “sons of gods”. But the idea that the king always has his council, whether an earthly king or Yahweh the King of heaven, was assumed in both pagan Mesopotamia and monotheistic Israel. It seems clear that it was to this council that Yahweh spoke and referred when making momentous decisions, whether those decisions involved enticing Ahab, sending a prophet like Isaiah to Judah, or creating man in His own image. The picture of the divine counsel offering input is anthropomorphic, to be sure, as are pictures of Yahweh baring His arm in the sight of the nations, rolling up His divine sleeves before working to redeem Israel (Isaiah 52:10). It constitutes more a cultural backdrop to Yahweh’s acts than it does Scripture’s main message. But it is just this cultural backdrop that we find in Genesis 1:26. That is where we must begin our exegesis, for that is how the original hearers, long familiar with the concept of Yahweh addressing His council, would have heard it. But although we begin there, we do not end there. All the teaching of the Old Testament forms a pedagogical trajectory, for the Law was a pedagogue to bring us to Christ (Galatians 3:24). Taught by our Trinitarian experience of the grace of Christ, we ask about the sensus plenior, the deeper hidden meaning of the text. Why did the Hebrew Scriptures preserve such images as God’s divine council, with the resultant use of plurals? Historically this was clearly a cultural vestige of the common Middle Eastern picture of deity. But prophetically it serves as a foreshadowing of the tri-personal God. The richness of reality that led the ancient authors to speak of a divine council (and in Israel to also use a plural name for God, viz. Elohim) would eventually find fulfillment in our understanding of God as Trinity. If one follows this trajectory of divine majesty it leads us in the end to the insights of the Fathers—in other words, it leads us to Christ. The ancient instinct was that Yahweh was too great, powerful, and transcendent to be a solitary Monad in the Middle Eastern sky. Just as a king must have his council to be a true king, so Yahweh was too glorious not to be attended by the council of His holy ones. This is why the Old Testament texts spoke of other gods (Hebrew elim) even when they asserted Yahweh’s unique monotheistic status. And this instinct was not wrong. Later on we discovered that God is indeed too great, powerful, and transcendent to be a solitary Monad. He was Trinity, bursting the bonds of solitary personhood in the effulgence of tri-personal deity. And the roots of this concept found initial and faint adumbration in those Old Testament plurals, as well as in the mysterious references to “the angel of Yahweh”. One need not therefore toe the party line and shrink from reading the Old Testament in its cultural context. Such a cultural reading is not preferring “Jewish interpretations” to Christian ones as some might think. It is only recognizing that Judaism came before Christianity and the Old Testament before the New. It is also preferring scholarship to partisanship, for the scholars who recognize that the plurals of Genesis 1:26 refer to Yahweh’s divine council are Christians (e.g. John Walton who teaches at Wheaton, and the authors of the Cultural Backgrounds Study Bible). It might be a Jewish interpretation if we stopped in the Old Testament and refused to see that interpretation as one stage in a trajectory that leads ultimately to Christ or denied the Holy Trinity. But in fact we do not stop there, but go on from the Old Testament interpretation to find the richer sensus plenior in all the Old Testament. This fuller meaning of the text, so well expressed by the Fathers, is its highest meaning, and that which is of most use to us in our walk with God. In this sense we must begin with the Fathers, in that they reveal Scriptures fullest meaning and the destination to which the Old Testament trajectories are leading. But the highest does not stand without the lowest, and we must first understand the Old Testament as the message of God to Israel before we can understand it as the message of God to His Church. If we insist on beginning at the end of our exegetical journey and confuse the sensus plenior for the original sensus, we are poor scholars and show unintentional disrespect for the Scriptures. Exegetical anachronism is not the way to go. If the Fathers teach us anything, they teach us that we must hear what the Scriptures have to say and that we must read them on our knees. Father Lawrence, you are on an exegetical roll, thank you again. Thank you! The piece was a generalized response to some critique of my (now difficult to find) book on Genesis. Thank you, Father, for this thought-provoking piece. And most especially thank you for your service to Holy Mother Church! Peace…..When reading Gen. 1:26 and the plural “let US make man to OUR likeness and image – I see that God is speaking with those in His Kingdom such as the angels; the angels who have not fallen yet. Lucifer would be among these until he experienced pride and jealousy. The Scriptures are entirely silent about when the angel we now know as Satan fell through pride and jealousy. Traditions abound, but in the absence of something firmly Biblical I am reluctant to speculate. Whether he was among the angels who shouted for joy when God made the world (Job 38:7) we do not know–or anyway, I do not know. The Genesis narrative as interpreted by St. Paul in 2 Cor. 11 implies that when Man lived in paradise, he had already become Satan (Hebrew for “adversary”), the serpent who tempted Eve. I take your point about the Judaism of post-70/ 132 AD not being the Judaism of the OT. But in Gal. 1:14 St. Paul uses the term “Judaism” to describe the Second Temple Judaism of the early first century, and I am using the term as St. Paul used it. The explanation for the use of the “plurals” in Genesis 1:26 is actually quite simple. “And God said, ‘Let US make man in OUR image, after OUR likeness’” (Genesis 1:26). God and his only begotten son. (John 3:16). Just a quick reply: reference to the Emphatic Diaglott of the Jehovah’s Witnesses is alone sufficient to discredit one’s exegesis. Translating John 1:1 in this way is not only grammatically indefensible, but leaves one with two gods–a big God (the Father) and a little god (the Son), in contradiction to the monotheism of the NT. But, should we not also be cautious about the “scholarly party line”? The article seems to take for granted that scholarship is always neutral, but we know that this is hardly the case. There are perhaps as many scholarly theories on “context” as there are “confessional lines”. That is quite true, and especially in the field of the OT. I was writing of the choice between scholarship and partisanship, but another blog piece could be written of the choice between good scholarship and bad. Not surprisingly I prefer the conservative scholarship of men like Kitchen, Walton, and Hoffmeier to the more skeptical scholarship of others. By “good scholarship” I meant scholarship based on actual evidence. Kitchen is quite good on the difference: see his On the Reliability of the Old Testament. But does the fact that the Fathers did not have the contemporary scholarly apparatus of contextualization – which can be said to be historicist – make their exegesis “inaccurate” and therefore unreliable? I wonder whether or not the approach you’re proposing in fact ends up in inversing the order of exegetical authority, ultimately giving the lower (scholarly) precedence over the higher (patristic) interpretation. We then end up with subjugating Scripture to scientistic demands, even if they come from “conservative” camps. In the realm outside Scripture this can then lead to the removal of Saints from the calendar since we cannot find historical data to support their lives. Something the Roman Catholics have already suffered from. I think that the Fathers did their best to contextualize the best they could, given their tools at the time (Antioch thought this more important than Alexandria.) The deeper/ Christological meaning presupposed this prior work of contextualization–when it did not occur (such as when allegories were propounded with little regard for the historical meaning), some voices (e.g. the Antiochene school) protested that the allegorical must be rooted in the historical. It seems to me contrary to the patristic spirit to refuse to use the tools for contextualization that we now have–especially when the most important Scriptural insights do not depend upon the original context, but upon the deeper Christological meaning. In the same way, the scientific limitations of the Fathers, like their historical limitations, do not effect their contributions. Those contributions consist of their spiritual and Christological insights, not their scientific or historical ones. Please clarify for me, if I’ve misunderstood you. Does this not lead to the subjugating of revealed knowledge (“Thou art the Christ the Son of the Living God” ) to the strictures of scholarship (“flesh and blood”)? In other words, it sounds like the anti -Palamite position of Barlaam (academic speculation over direct experience of God). I would suggest that “revealed knowledge” is the Scriptures; both the Fathers and we their heirs are engaging in flesh and blood scholarship in exegeting them. To say otherwise is to make the Fathers into a source of revelation equal to the Scriptures, something they would emphatically repudiate. I agree that we can “check our math” and the results of our exegesis by seeing whether or not it conforms to the consensus patrum. But this consensus refers to the basic phronema with which we approach the Scriptures and the general conclusions, not the details of exegesis. For example, an exegesis which denies the regenerative efficacy of baptism is clearly wrong because it defies patristic consensus. But an exegesis which declares that the last 11 verses of Mark’s Gospel are not original to Mark does not defy the consensus, and is not wrong. The consensus does not include such fine details as this. There is a danger in rejecting scholarship altogether, and reducing fidelity to the Fathers to a simple repetition of their conclusions–not that I am suggesting that is what you are doing! But some objections that I have read seem to imply that all real thinking and growth in exegetical understanding ceased after St. John of Damascus (or perhaps after Palamas), and that modern scholarship has nothing whatsoever to teach us. This seems to me to undervalue the role of the Holy Spirit in the life of the Church. Forgive me, but is not the way you’re putting it verging on the notion of Sola Scriptura? It seems to me as if you’re reversing the order. Rather, the Scriptures themselves arise FROM “revealed knowledge” (which is the experience of God directly, before the writing down of it). Hence, the Tradition is that mystery in which true exegesis arises correctly through the Grace of the Holy Spirit which indwells Holy Men and inspires them, illumines them to apprehend the true meanings of Scripture, the Cosmos and human nature . This can unfold in conjunction with scholarly tools but does NOT depend on them. Your theory leads me to believe that the Holy Spirit is less active now than in the past. But, in fact, the age of the Holy Spirit is NOW, just as it was in the time of St. John of Damascus and St. Gregory Palamas. I agree with all your statements, but do not see how it verges on the notion of Sola Scriptura, which has to do with how the Scriptures are interpreted, not with their authority. The words of Scripture themselves, obviously the fruit of inspired men, are the work of the Spirit. Thus, for example, Irenaeus: “We know full well that the Scriptures are certainly perfect, since they were spoken by the Word of God and by His Spirit” (in his Dialogue with Trypho, c. 65). We depend upon scholarly tools in the same way as we depend upon knowledge of the original languages: these do not replace inward illumination, but presuppose it. The fact that Mary of Egypt was illumined without reading books or hearing sermons is the exception that proves the rule. For those of us not living without the Eucharist in the desert, we must rely upon our reading and upon sermons–which is why the Fathers gave us so many sermons themselves and wrote so many books. Fr. I have heard you say context, scholarship, sermons, etc. Yet, you have not emphasized enough the importance of prayer, asceticism, purification, Confession, Holy Communion, Holy Baptism, and the anointing of Holy Chrismation, etc., all of which work together to actualize the illumination that enables us to understand the meanings contained in Scripture. Illumination is necessary for ALL without exception, not only the illiterate. Scholarship CANNOT of itself bring enlightenment. At best, on a good day, it could help someone who is illumined. But if one is not illumined, one will twist the scholarship in the same way as one twists the Scriptures, to his own destruction. I did not speak about prayer, asceticism, purification, Confession, Holy Communion, Holy Baptism and the anointing of Holy Chrismation because the topic of the piece was the choice between partisan confessionalism and authentic exegesis, not the choice between personal asceticism in the life of the exegete and the absence of such asceticism. Had I been writing a book and not a blog piece, no doubt one of the chapters would have been on this topic. No one said that scholarship alone can bring enlightenment. Holy prophets perhaps can produce worthwhile exegesis apart from rigorous scholarship. But those of us who are not prophets must use the tools of scholarship available to us if we would attempt exegesis. I of course assume that a good Orthodox scholar will be living a life of authentic piety. My only point was that such a pious scholar must also avoid the trap of confessionalism. 1. You said, “Holy prophets perhaps can produce worthwhile exegesis apart from rigorous scholarship.” Surely you don’t mean “perhaps”? 2. Is Holy Tradition “partisan”? God bless you! Happy to clarify. 1. Yes, it did mean to write “perhaps” because not all prophets engage in Biblical exegesis/ write Bible commentaries. 2. No. But it also is not to be equated with confessionalism as I define it in the article. But is not the method of scholarship or contextualization you appear to be advancing actually positing another “party line” or partisanship? But, were not the original hearers of the texts meant to hear of Christ in the Scriptures? Is the Patristic exegisis then a “reading into”, out of context, of a christological meaning? Your approach seems to be a compromise of Tradition, which presupposes Christ as indeed the BEGINNING & END of all exegisis. You appear to be putting Tradition under your methodology/party line. Either the Scriptures are inspired or not, and if so they’re always about Christ as the begining and end. He has always been and remains to be the content of the totality of Scripture, for they are nothing other than the garments of the Logos – every verse reveals Him. The original hearers in the Old Testament times would not have “heard of Christ” in the Old Testament or found Him there in the way that we can. The Christological significance was something which could only be found in the text after Christ had come. The Fathers were not reading eisegetically or reading them out of context, but finding the Christological significance hidden in the text. That is what “prophecy” means: the deeper significance was only made known after Christ had come. To say piously that “Christ is the beginning and end of all exegesis” is true if by that one means that the deeper meaning is about Christ. But it is not true if one means that the full Christological meaning was known to the original hearers. In our exegesis we must begin by asking ourselves what those original hearers would have understood by the text. So were the prophets,such as Moses, Isaiah and the King David, ignorant that they spoke to the people of Israel about the coming Christ? Were they ignorant of the “full Christological meaning” that is now accessible to us via scholarly methods of exegisis? Do we have the advantage of hindsight over the prophets? In Hosea 11:1-2 we read “When Israel was a child, I loved him, and out of Egypt I called my son. The more I called them, the more they went from me; they kept sacrificing to the Baals, and burning incense to idols.” May I ask: what did Hosea and his original hearers understand by these words? I don’t recall anyone denying multiple levels of meaning. I certainly have not asserted such claims. Be that as it may, perhaps it can be said that there were different degrees of fullness of awareness, on the part of the prophets, of the ineffable depths of their divinely inspired utterances. This, however, does NOT mean that the prophets were ignorant of the christological content they communicated. Likewise, it could be said that the hearers also had different degrees of fullness of awareness of the christological content of Scripture and prophetic utterances. But this does NOT mean that they could not transcend the limitations of their cultural or historical context through the grace of the Spirit. In other words, not all of Israelites were the true Israel, as the Holy Apostle Paul puts it. Some had eyes to see and ears to hear. I am not sure which of the four comments in a row that you sent that I should reply to. So, publishing the latest version of your comment, I will simply repeat in somewhat expanded form my question: What would the original hearers of Hosea 11:1-2 have understood by those words and on what basis do you say they would have understood it thus?